Hull City Hall will host Substance Live: Future Of the North on December 9, as part of Hull's ongoing City Of Culture celebrations for 2017. Radio 3 and 6 Music DJ Elizabeth Alker will host the event, which boasts a line-up curated to showcase northern England's most innovative and forward-thinking bands and producers. 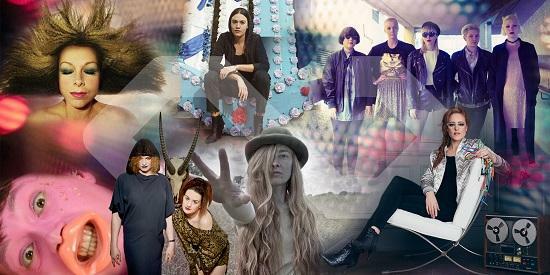 Leading the live line-up are the likes of Nadine Shah, Jane Weaver and Hannah Peel. The latter will be performing her piece Mary Casio: Journey to Cassiopeia blending two important Northern art forms - electronica and the brass band. Also on the lineup will be performance art madness at the hands of tQ favourite Lone Taxidermist, Manchester four-piece PINS, Hull's own contemporary folk forerunner The Dyr Sister and two piece doom outfit Chambers. Rosie Millard, Chair of Hull 2017, commented: "This is a brilliant line up of some of the country's most forward looking musicians. Very individual and distinctive in the way they approach their music, what links them is that they have links to the North and they happen to be women. These are musicians pushing boundaries to its furthest edges. It's going to be a musical highlight of the year." The event is part of the wider 'Substance' festival that takes place in Hull from November 29 to December 10. It features discussions, music, film screenings, debates, unique installations and art.